February 24, 2018 February 24, 2018 by Adriana James . Posted in " Videos " . Tags " Create The Future, Time Line Therapy " . Leave a comment . February 14, 2018 February 14, 2018 by Adriana James . Posted in " Uncategorized " . Leave a comment . We are committed to bringing you valuable information that inspires your thinking in the direction that will support the achievement of your purpose and goals. 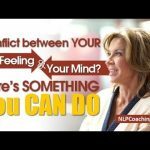 Adriana James is a woman of force and character, beauty and charm and an expert leader in the field of Neuro-Linguistic Programming (NLP), NLP Coaching and Time Line Therapy®. 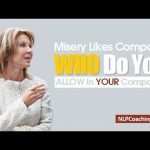 Misery Likes Company – Who Do You Allow In Your Company?